Platinum Productions’ project gains 7th Grammy nomination! 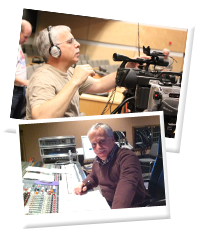 Platinum Productions is a full-service recording studio and video production company serving clients throughout the Greater New York Metropolitan area and nationwide. Located just 60 minutes north of NYC in the picturesque Hudson Valley, our proximity gives us convenient access to some of the most talented actors and musicians in the industry in a relaxing and inspirational recording environment.